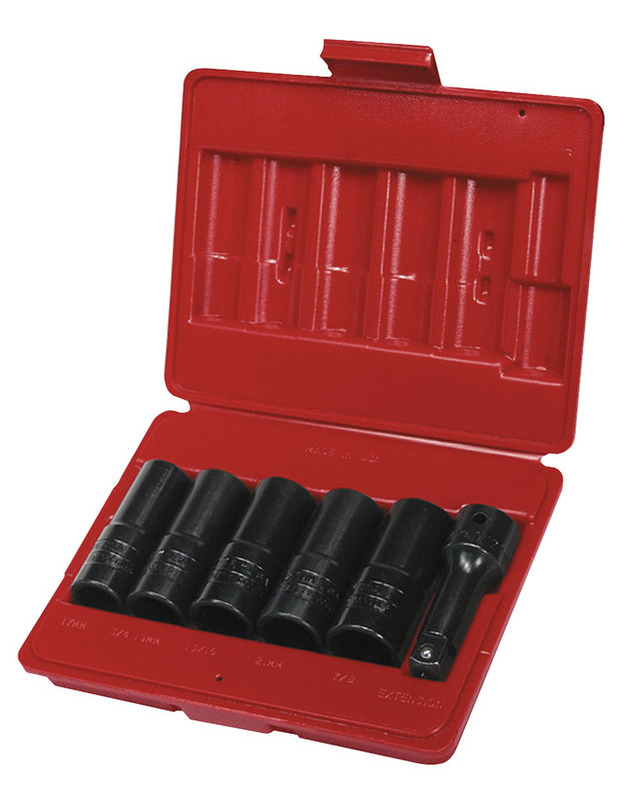 Ken Tool Thick and Thin Flip Socket Set includes 3 in extension and 6 pieces of 6-point sockets sized 17 mm, 19 mm, 21 mm, 13/16 in and 7/8 in. Flip socket over and you have a thin wall socket of the same size for wheels with minimal clearance. The one end features a standard 6-point socket for every day use.